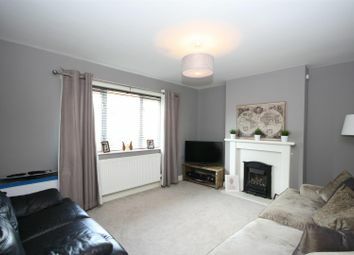 An extremely well presented and spacious three bedroom semi detached family home offering modern, stylish and luxury finish throughout with stunning living/dining/kitchen to the rear of the property, a good size lounge, two double bedrooms, both with fitted 'robes, a single bedroom and modern white house bathroom. 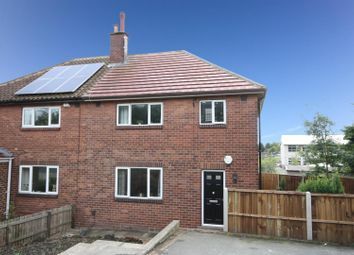 The property allows easy access to amenities, highly regarded schooling, Horsforth train station and excellent transport links to Leeds, Bradford, Harrogate and York. Comprises, to the ground floor, a generous lounge with pleasant outlook to the front, the fantastic living/dining/kitchen with bespoke kitchen, ample space for dining table and chairs, superb solid oak parquet flooring and has french doors out to the rear garden! The whole wall has floor to ceiling windows, six Velux skylights, contemporary downlighting and inset spotlighting so a lovely light and airy space! Perfect for entertaining family and friends! 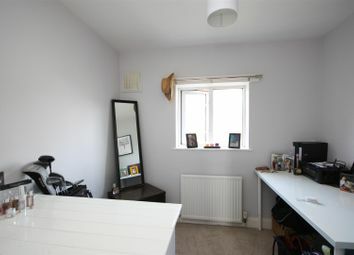 Upstairs are the three bedrooms, two of which are double rooms and both have fitted wardrobes, a single bedroom could be used as a home office or a nursery. Outside there's a family garden to the rear which is enclosed, a low maintenance garden to the front and off street parking. This is a prime residential location where you will find excellent schools to suit all ages, a thriving village atmosphere in which you can enjoy an array of eateries, bars and an abundance of shops etc. 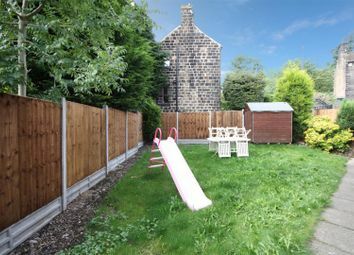 Further facilities are available in the village of Horsforth, including a supermarket, park, banks etc, with pre-schools, also Kids Club and Trinity University all on hand. There are gyms, cricket, bowls, rugby, golf, running clubs, and a skate park: Something for everone. The Horsforth Train Station provides services to Leeds, York and Harrogate and Kirkstall Forge Train Station has just opened, this is located down the A65 and will further enhance the location. The Ring Road (A6120) and the (A65) are near by and provide main road links to the commercial centres of Leeds, Bradford, York and Harrogate, a great bus service runs into the City Centre and, for the more travelled commuter, the Leeds-Bradford Airport is a short drive away. There are many other recreational activities on offer in nearby areas such as Weetwood and Cookridge. All in all, this location is sought after by a wide variety of buyers. Above all, Horsforth provides a strong sense of community. 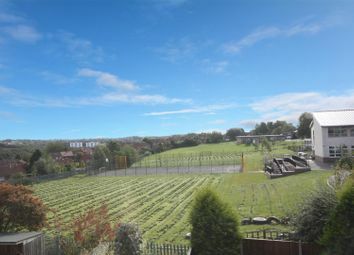 From our office at New Road Side, Horsforth (A65) proceed down towards Leeds City Centre. Continue down the hill and at the bottom turn left into Hawksworth Road. Continue along until reaching the 'Woodside' roundabout. Carry straight on into Low Lane and follow the road for approximately half a mile until the road takes a right-hand bend. On this bend take the sharp left up to Lister Hill and then left into Bachelor Lane. The property can be identified by our 'For Sale' sign. LS18 5NA. A good size reception room with stylish decor theme and feature white fireplace housing a Living Flame coal effect gas fire. Large window to the front elevation with pleasant outlook. Wow! Impressive and so spacious! 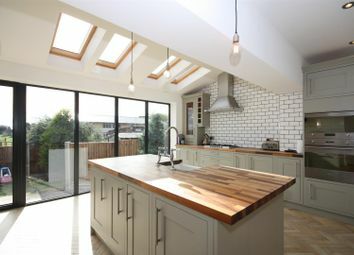 Finished to a high, stylish specification with bespoke range of wall, base and drawer units, solid wood worksurfaces and an smeg oven and integrated microwave, integrated dishwasher, five point gas hob and canopy over. Kitchen island with inset Belfast sink and solid timber work-surfaces. 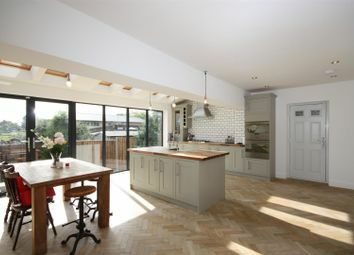 Fantastic solid oak parquet flooring, six Velux windows. Contemporary and inset spotlighting too! 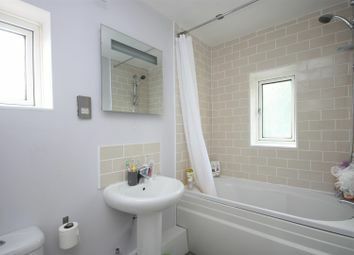 Feature brick style splash-back tiling with neutral decor to the remainder. 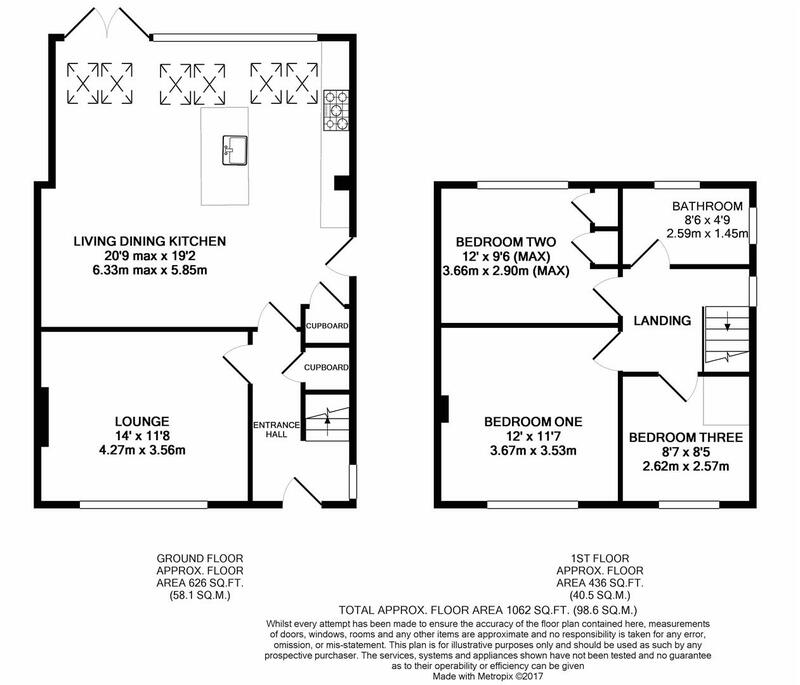 A truly fantastic space - ample room for kitchen table and chairs so perfect for day to day or more formal dining. 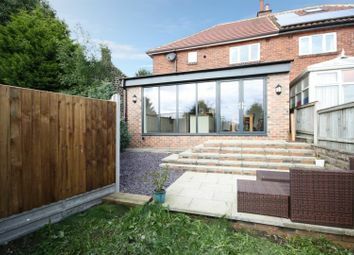 Bi-folding doors open outside into the rear garden so guest can then spill out into the garden on warm summer evenings! Under-stairs store which is plumbed for a washing machine. 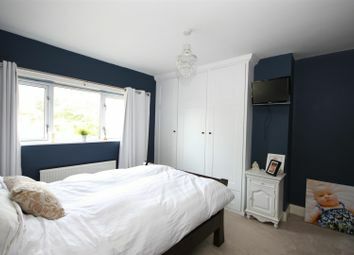 A double bedroom with feature indigo painted decor to walls and fitted wardrobes to one alcove. Large window to the front elevation with pleasant aspect. 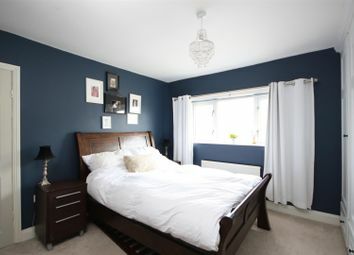 A spacious second bedroom with pretty decor. Fitted wardrobes. Pleasant long distance views to the rear. 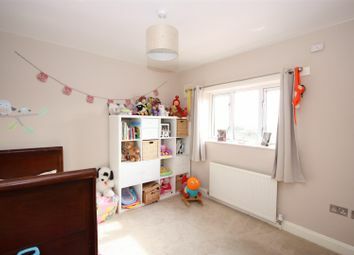 Generous third bedroom, currently used as a dressing room or could be nursery or home office maybe? Neutral decor and window to the front elevation. A good size with brick style ceramics to wet areas and neutral decor to remainder. Incorporates a white three piece suite with panelled bath, thermostatic shower over, contemporary pedestal wash hand basin and low flush WC. Dual aspect to the side and rear elevations. 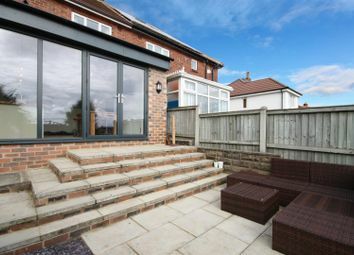 The rear garden has been landscaped and has a paved seating/dining area, low maintenance Indian stone pebbled area, lawn, path and border with shrubs and trees. The garden is fully enclosed and safe for children and pets. There is off street parking to the front and low maintenance paved area. We are presently unable to confirm whether any appropriate planning permission or building regulation consents were obtained when altering the property, we do not hold on file, nor have we seen sight of any relevant supporting documents. Interested parties must satisfy themselves in this regard via their own Legal Representative.